"No element in the world would dare attack Israel with chemical weapons," says Defense Minister. 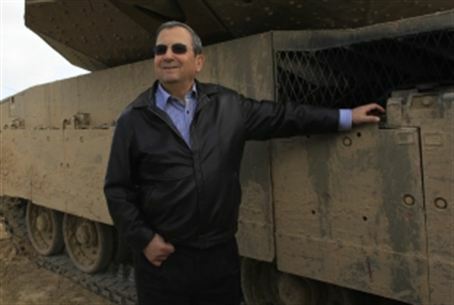 Defense Minister Ehud Barak said Monday, "No element in the world would dare attack Israel with chemical weapons." He added that "Nothing will happen" and said that he, himself, is prepared to hand back his personal gas mask and protective kit – in a statement meant to show how little credence he lends to the possibility of a chemical attack on Israel. Barak spoke on Voice of Israel radio Monday, and attempted to allay fears that Syria's chemical weapons will fall into the hands of Hizbullah and other terror elements, who would then use them against Israel. Fighting between rebels and forces loyal to Syrian president Bashar Assad is raging fiercely in Aleppo, meanwhile. According to the Mail Online, more than 200,000 people were forced to flee their homes in Aleppo, and many more are trapped. Due to the fighting, civilians have been forced to crowd together in buildings and basements to escape the heavy shelling.